Background - Get more out of your time at the range. 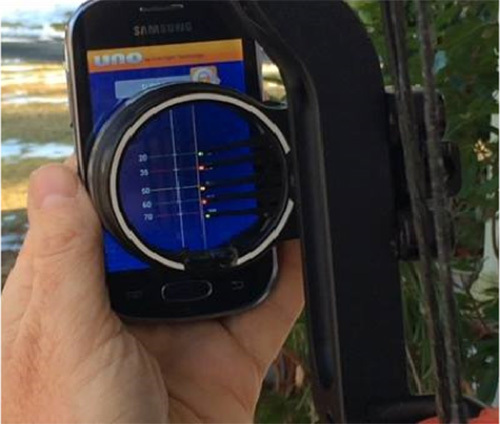 The UNO Archery App includes patented innovations that allow archers to quickly and accurately set pin gaps and select sight tapes using only a 20 yard range. This allows users to move directly to the range for precise practice and training before a hunt or competition. Just set a single pin or yardage mark and provide the app with a few basic pieces of information about your setup. The app delivers precise pin gaps and sight tapes so you can immediately setup your bow sight for accurate shooting out to 80 yards or more. Does the UNO App work with all bow sights? The UNO Archery App sets pin gaps for all multi-pin sights. The UNO App also works with all single pin sights that use a linear sight tape, for example, Black Gold and CBE. The app also works with selected sights that place the tape on a curved surface or wheel. Currently these sights are limited to the HHA Optimizer Lite, the HHA Optimizer Lite Ultra and the HHA King Pin. Where can I get the UNO Archery App? What info do I need to provide the app? 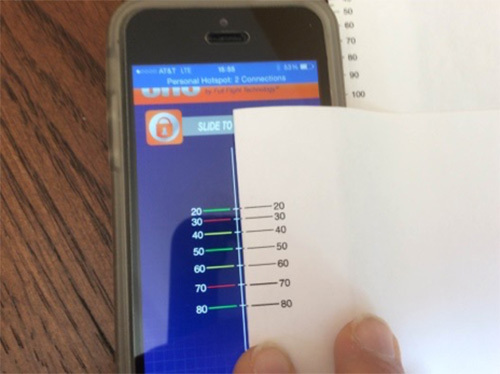 Provide the UNO app with a measured bow speed and your peep measurements. Peep measurements are taken at full draw ( + 0.25 inch accuracy) using the center of your peep, the center of your arrow shaft and the location of your sight pin as your measurement references (see image below). Bow speed is most often measured using a chronograph. Your local bow shop should have a chronograph if you don’t. What if I don’t know my arrow drag? No worries, most users rely on the Estimator include in the UNO app. The Estimator gives a precision result because it is built on the measured data for thousands of combinations of archery equipment that we recorded with the Velocitip System. How accurate is the UNO app? The success of thousands of users from beginners to archery experts tells you that the UNO Archery App delivers a precision result for all of the most common hunting and target setups. Experienced archers tell us that the UNO App delivers precise sight marks for their setup out to 100 yards! How do I transfer the sight marks from my phone to my bow sight? The portability, precision and power of the UNO App’s patented technology make the transfer of the marks quick and direct. For multi-pin sights, precisely sight in at one measured distance and fix the location of that pin. Now, just hold the phone to your bow sight; line up the corresponding virtual-pin in the UNO app while you set the pin gaps for your other yardages based on the other pins displayed on your phone. Pin yardages are customizable in 5 yard and 5 meter increments. UNO is also the first mobile app for printing scaled sight tapes directly from your smartphone. Refer to the Print FAQs below. The “good old days” of plugging an endless array of data into a PC based program to produce sight tapes are over! UNO provides precision sight tapes that are customized for your setup. Just secure the tape to your sight after precisely sighting-in one mark at a measured distance. 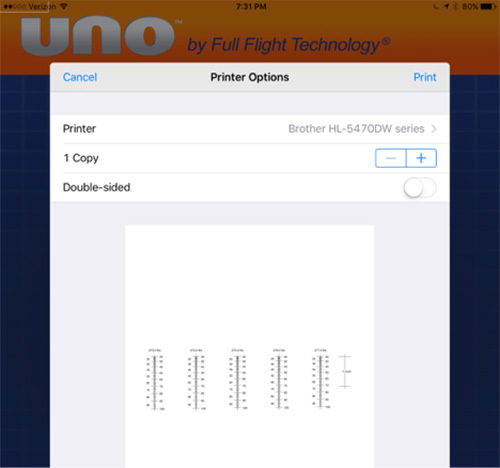 Printing for iOS– UNO allows archers to print customized sight tapes and pin gaps using Apple’s AirPrint. Each sight tape printout includes a set of five tapes including a tape for the selected arrow speed, a +1 ft/s tape, a +2 ft/s tape, a -1 ft/s tape and a -2 ft/s tape. Also, choose whether to include one yard marks and whether to locate the 10 yard marks on the left or on the right. Multi-pin printing provides a single set of pin gaps for the selected arrow speed, see below. Each set of five tapes and each multi-pin printout also includes a one inch scale located on the right. 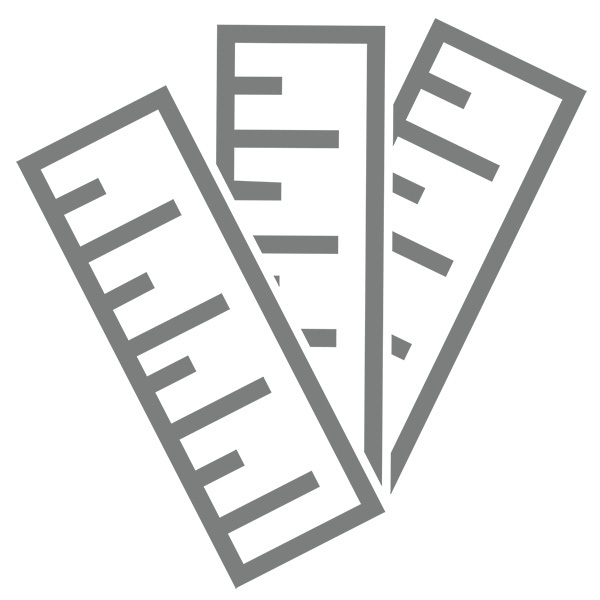 Measure the scale to confirm that it has a length of one inch each time you print a set of sight marks. Reprint if you find an error. User experience has been excellent with AirPrint. Contact us at uno@velocitip.com if you have any repeated errors with the scale. What if I have trouble with AirPrint? Direct Wireless Printing of Your Sight Marks! See How to Generate Custom PDFs of Your Sight Marks! Which Android Phones support printing? if your phone has Android OS 4.4 or later you can use the UNO App to print. What is the file name that UNO gives a PDF? The default file name is uno.pdf anytime UNO generates a PDF. However, you have an opportunity to custom name the file when you save it. We recommend that you take the time to do that. If you end up with multiple files with the identical name, you can use the time at which the file was saved to identify the set of marks you’re looking for. See the Video “Precision PDF Sight Tapes, ” above to learn more about file saving. How do I Check Print Calibration for Android? The UNO App provides users with a flexible approach designed to allow custom scaling for Android regardless of the print option that you select. Each set of five tapes and each multi-pin printout also includes a six inch scale located on the right. Measure the scale to confirm that it has a length of exactly six inches each time you print a set of tapes. The next time you print the app prompts you to enter the length of the printed-ruler if there is an error and then automatically adjusts the print calibration to correct the error. What if I have trouble Printing with Android? New for 2016, a TURBO Sight Tape Select feature is included in the UNO App. The TURBO Tape Select quickly and precisely identifies the best sight tape from the pre-printed tapes provided with leading single pin sights. Where do I find the TURBO select feature? Generate a set of sight marks (either multi-pin or sight tape). Select the icon with the fanned out tapes that appears on the right. What’s the advantage of the TURBO select feature? With the UNO App a user no longer has to step back 50-60 yards for a second sight mark. Just enter a measured arrow speed, peep measurements and select from vanes or feathers as you normally do using UNO. The correct sight tape is automatically selected from among those supplied with your bow sight. Now you can set all your marks even if you don’t have access to an outdoor range! Does the TURBO select feature work with all single pin bow sights? The UNO App works with all single pin sights that use a linear sight tape. For most of these sights a user can either print or create the tape by hand using UNO. The TURBO select is a special feature that allows the direct use of the sight-tapes provided with leading brands of bow sights. Currently, all Axcel, Black Gold and CBE sights are supported along with all HHA sights including the King Pin. How does the UNO App Select the Correct Tape with Only One Yardage Mark? The app takes your input data and determines the correct sight mark spacing. The UNO app selects the best match by automatically comparing those results with the sight mark spacing in each of the tapes included in the set of tapes provided with your bow sight. What mark do I use to line up my tape on my bow sight using TURBO select? Establish a precise mark using a measured distance and lock the position of the pin that moves along the sight tape. When you place the selected tape on the sight be sure to precisely align the tape so that the yardage on the tape corresponding to your measured shooting distance is aligned with the pin. What distance should I use to set my sight mark? You can be more exact when placing the sight tape on your sight based on a mark set at a longer distance. So, while a precise sight mark set while shooting at a measured 20 yard distance can be used, we recommend sighting in at the greatest distance at which you can deliver a good group of arrows. For example, we often shoot greater than 50 yards but the range on our property is limited to 35 yards. So if we can’t travel to a range with longer distances we will always align the selected tape using a mark set at 35 yards rather than 20 yards. What do I do if the selected tape doesn’t seem to work correctly? The UNO Archery App will always deliver an accurate result if the inputs the user provides are correct. 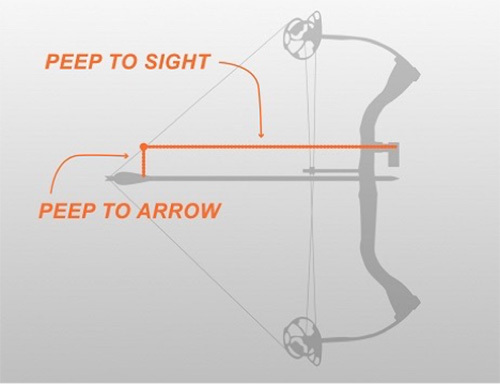 Use a reliable chronograph to record the arrow speed at the bow on multiple shots and take the average. Also, make sure that the inputs are set properly. Use the micro-adjust sliders located on the sight mark screens to fine tune the arrow speed as needed. We find that most errors result from locating the tape based on a sight mark that is not precise enough. As stated in the instructions provided with HHA sights “the accuracy of the entire shooting system depends on an extremely accurate sighting at both 20 and 60 yards.” UNO requires the same level of precision but for a single yardage mark rather than two yardage marks.